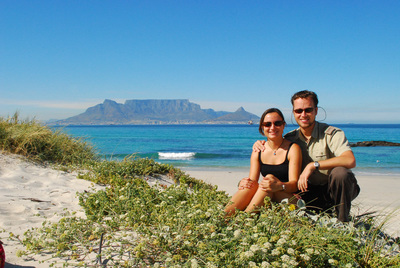 During this tour you will see all the highlights of Cape Town, before continuing your journey along the spectacular Garden Route, enjoying this beautiful area and relaxing along the way. 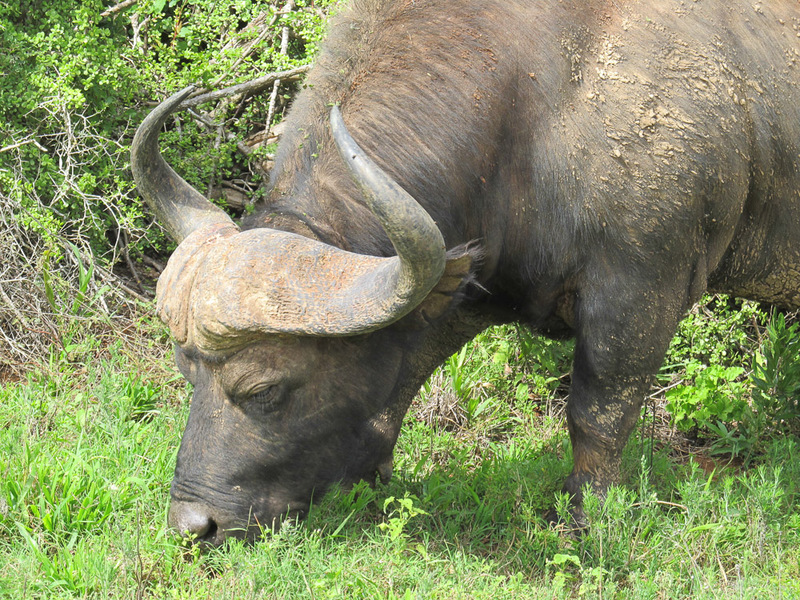 Of course, being Tailor Made Safaris there is always a chance to spot the Big-5 en-route! 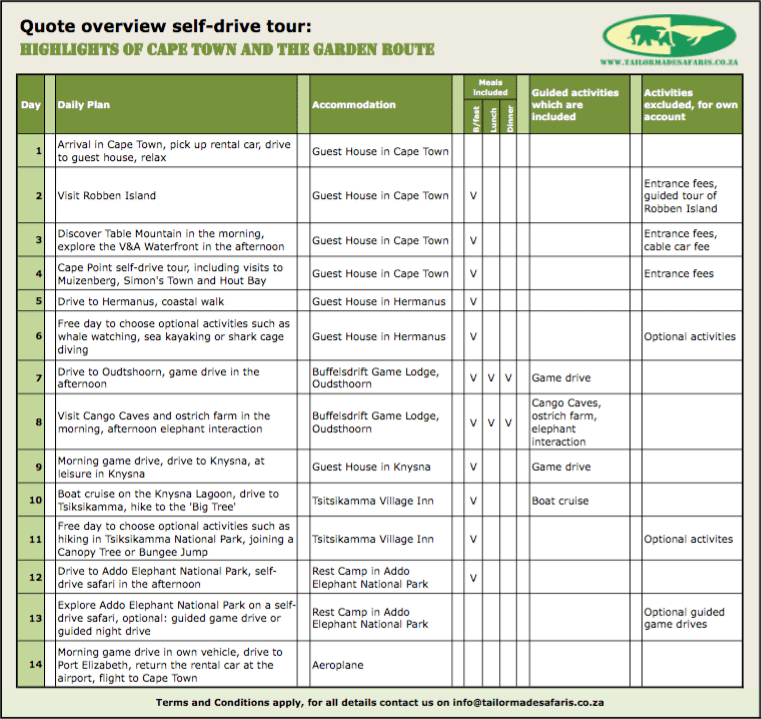 For fourteen days, this fantastic tour takes you on a journey through the most awesome destinations of the Cape and Garden Route. After an intimate stay in South Africa’s ‘Mother City’ you travel in search of whales and sharks, and enjoy hikes amongst gigantic trees! 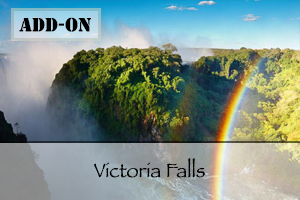 What's more, you'll get to visit incredible limestone caves, experience cultural and culinary delights, and finish off with some safari days in Big-5 territory! 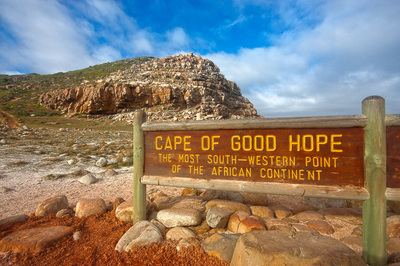 Go on the Cape Point Tour and see Cape of Good Hope, penguins and more! Go on a game drive in the ‘Klein Karoo Ecosystem’ and spot a meerkat! Finish off with 2 days of safari looking for the Big-5 in Addo Elephant Park! 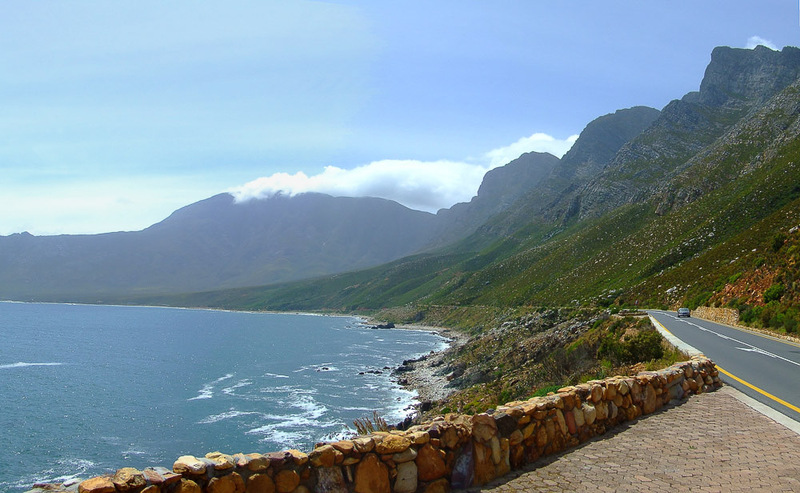 After visiting the most beautiful parts of Cape Town and the surrounding area you will now depart to Hermanus. 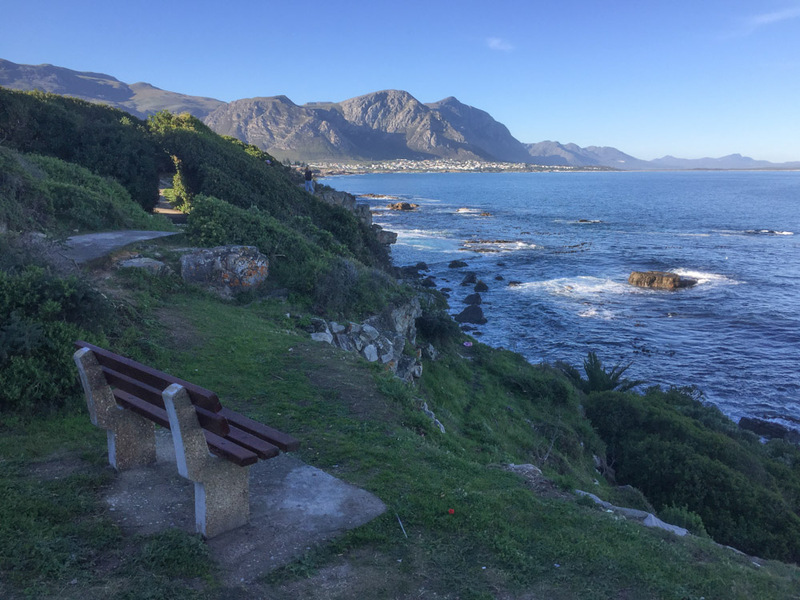 Hermanus is known for its excellent whale watching and for good reason. 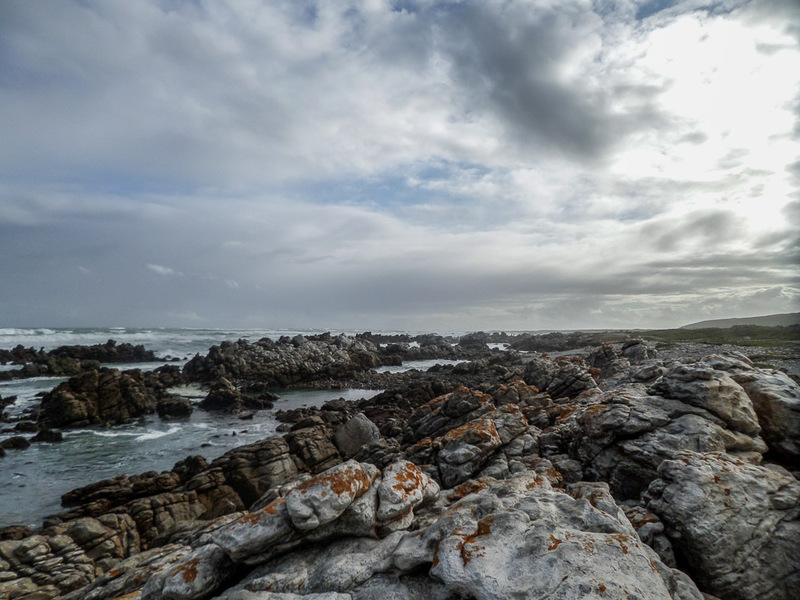 Every year, between July and November, hundreds of whales calf and breed in the bays around Hermanus. 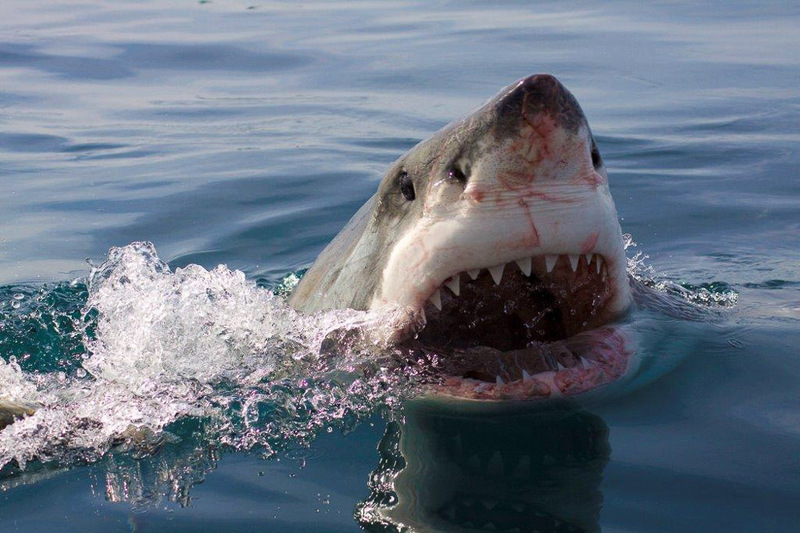 These impressive animals frequent this stretch of coastline and swim close to the shore, which makes them easy to see from land. 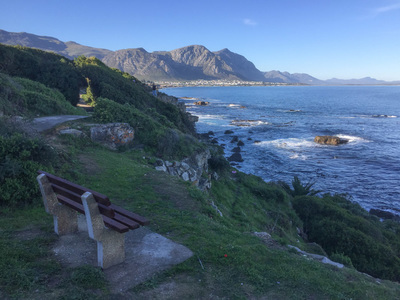 If you visit during the whale season, a walk along the coast is definitely in order! 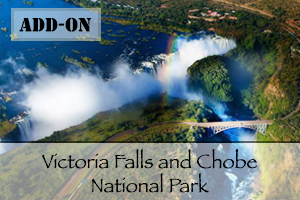 These beautiful coastal trails are also recommended for out of season visitors, who can admire the rugged coastline and dazzling blue ocean. Relax and unwind at your guest house, explore the modern town centre, or choose one of the following thrilling activities and discover the variety of marine species living off the coast. 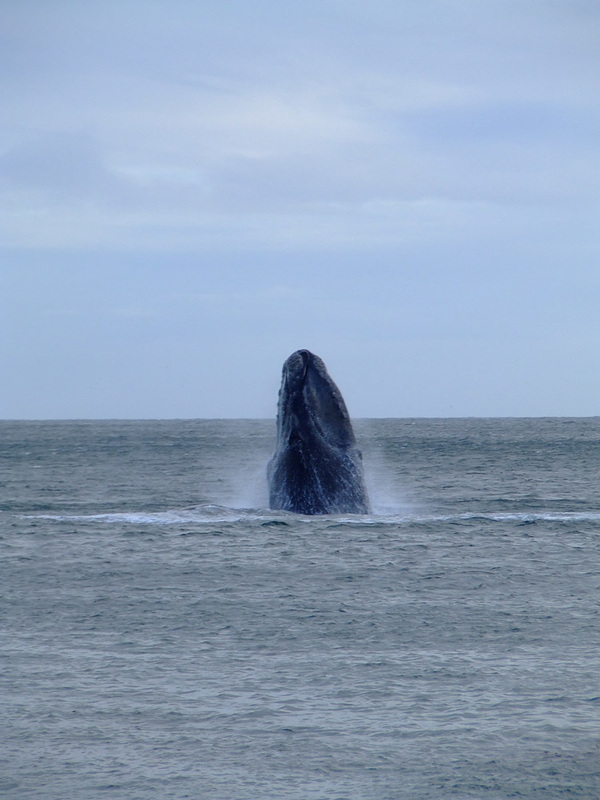 During the whale season (June-November) you can join a whale watching tour on the ocean. 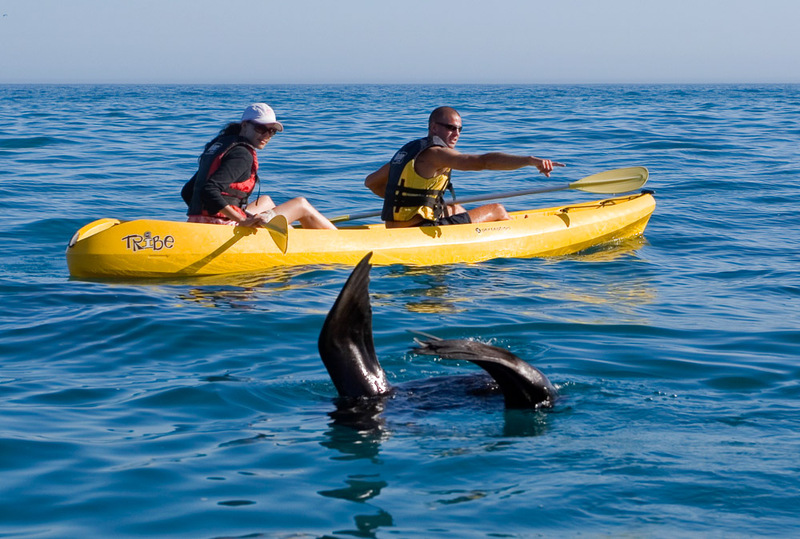 For the more adventurous, encounter these magnificent mammals on a guided sea kayaking tour instead (from a safe distance, of course). Sea kayaking tours are available year round, and outside of the whale season you can still find an abundance of marine life, such as seals, dolphins, penguins and other seabirds. If you're feeling extra brave, Gansbaai is roughly 1 hours' drive from Hermanus. 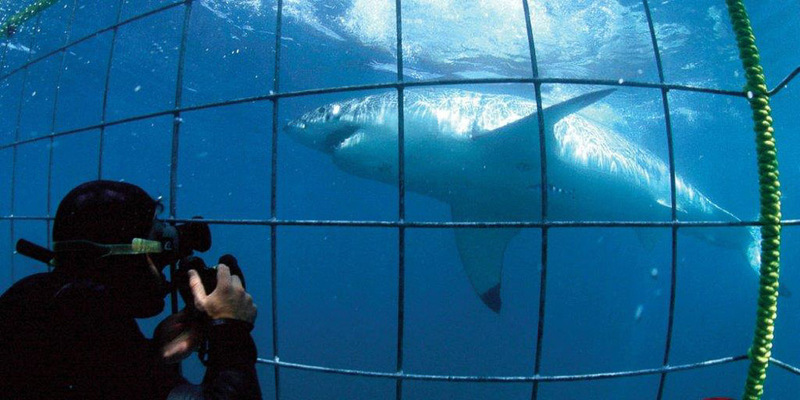 Here you can shark cage dive in the Great White Shark Capital of South Africa! 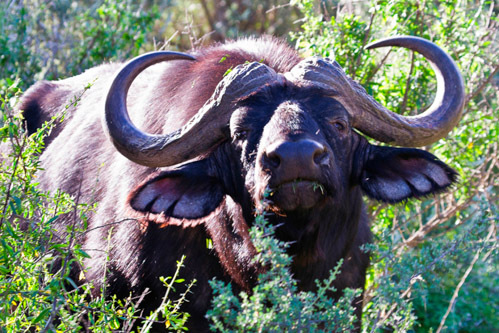 Today you will travel from Hermanus to Buffelsdrift Game Lodge. 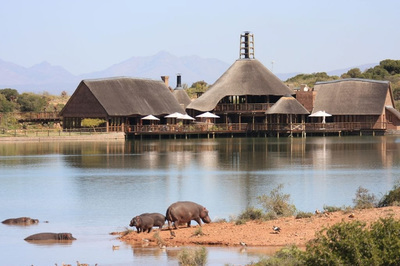 This lodge is situated just outside Oudtshoorn in the semi-desert of the 'Klein Karoo'. 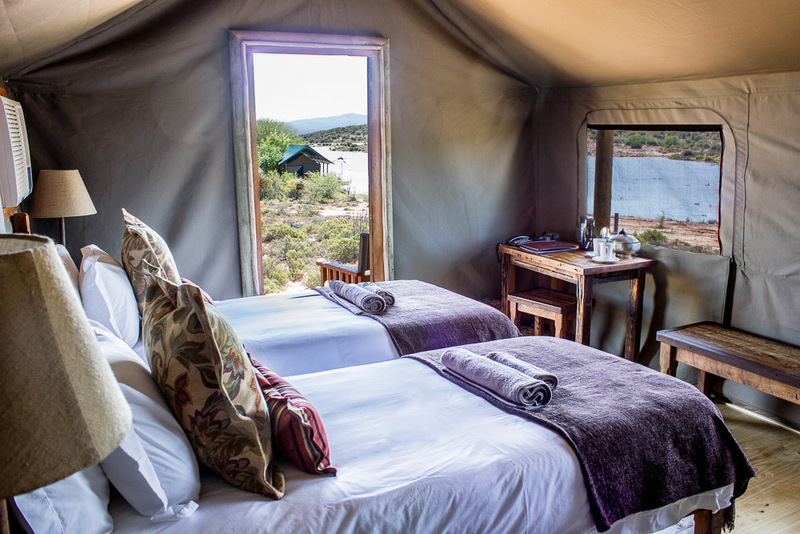 You will be offered lunch on arrival, after which you will have some time to relax in your luxury, fully equipped, safari tent. 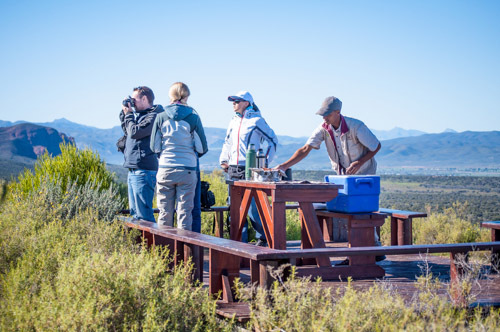 You can also enjoy a drink on the terrace of the lodge where you overlook the waterhole and hopefully spot some hippos, with the Swartberg Mountains as a magnificent backdrop. 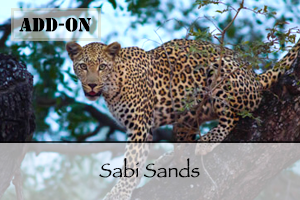 In the afternoon you will explore the park on a guided game drive. 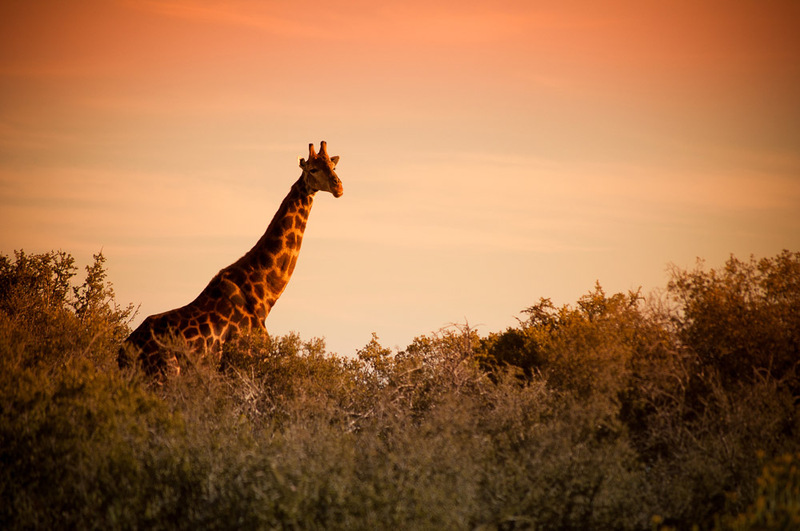 Look out for rhinos, meerkats, giraffes, zebras and many other species. 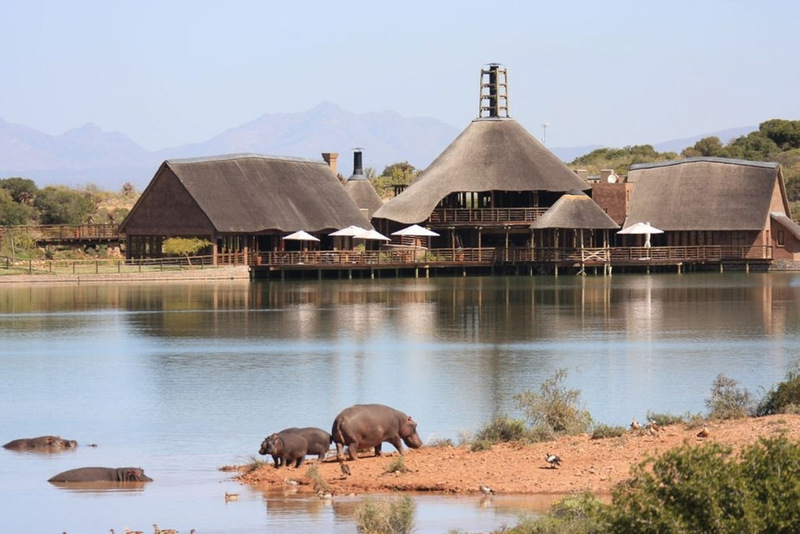 For a good dinner, you need look no further than the restaurant at the lodge, which has an extensive menu. Be sure to try one of the many wines from the wine list; the restaurant won the award for "Top Wine List" last year! 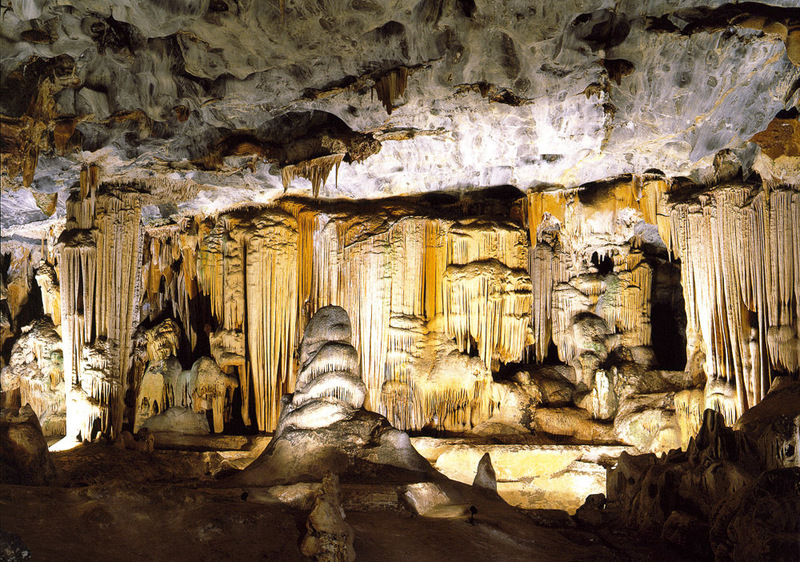 This morning you will visit the impressive Cango Caves. The San people used these caves as a shelter, however, after the extinction of this population, knowledge of the cave was lost until 1780 when a local farmer rediscovered it. Today these caves are open to the public and you can see the beautiful stalactites. 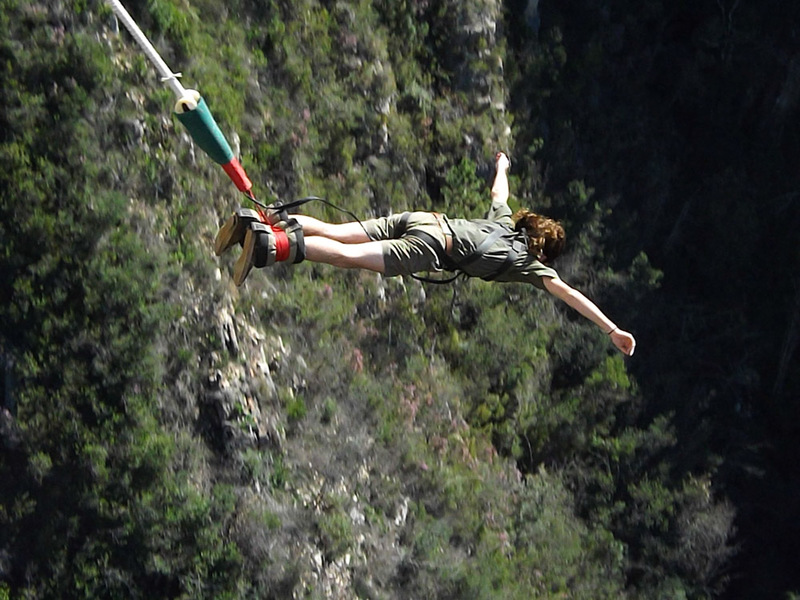 For the truly adventurous, it is also possible to do the special "adventure" tour of the caves. Here you scramble through narrow tunnels and holes in the rock walls. 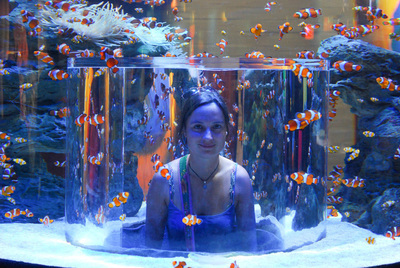 It is certainly not suitable for people with claustrophobia! 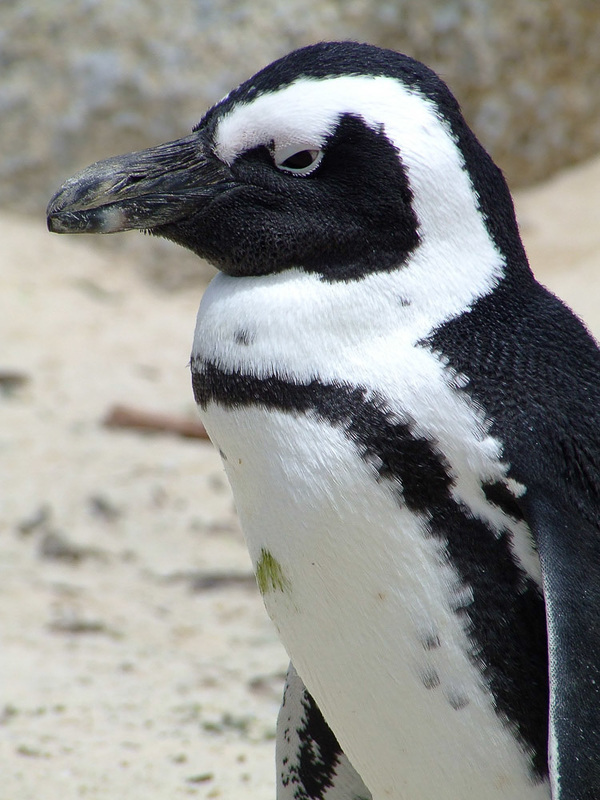 After visiting the caves you will visit the Cango ostrich farm. 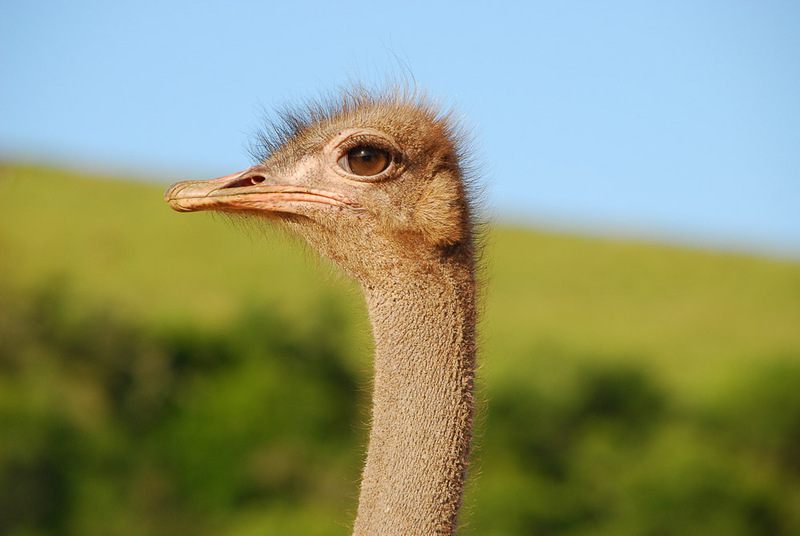 Up until the Second World War, ostriches were very important as their feathers had a very high commercial value. Although this market collapsed completely after World War II, ostriches are still farmed today, but now it is mainly for their meat. During your visit, it is possible to feed, to touch or to ride the ostriches. 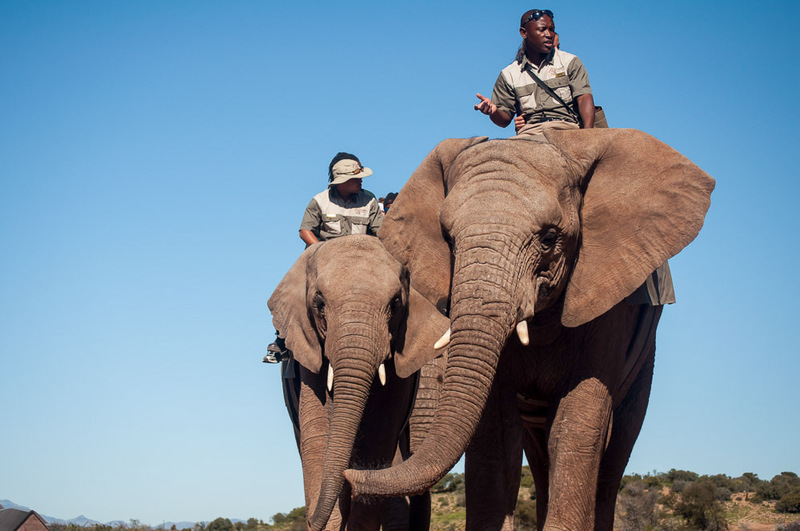 After returning to the lodge, an elephant interaction is possible. 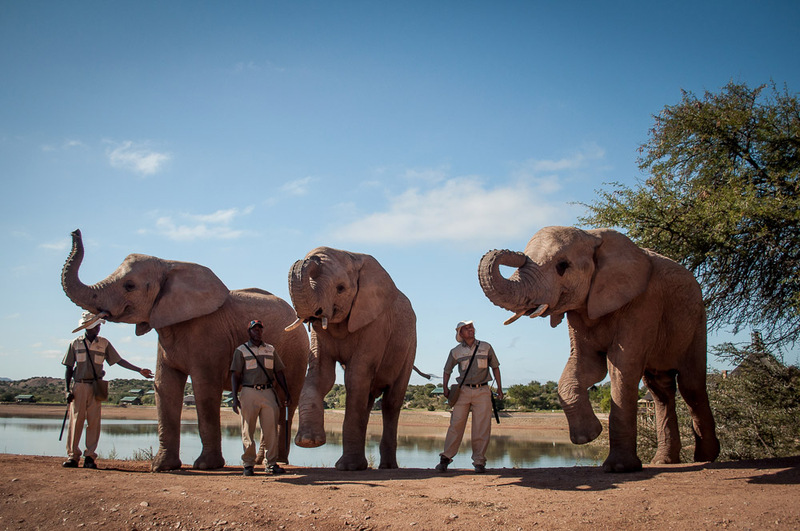 These elephants are raised by hand, and therefore they are accustomed to contact with humans. 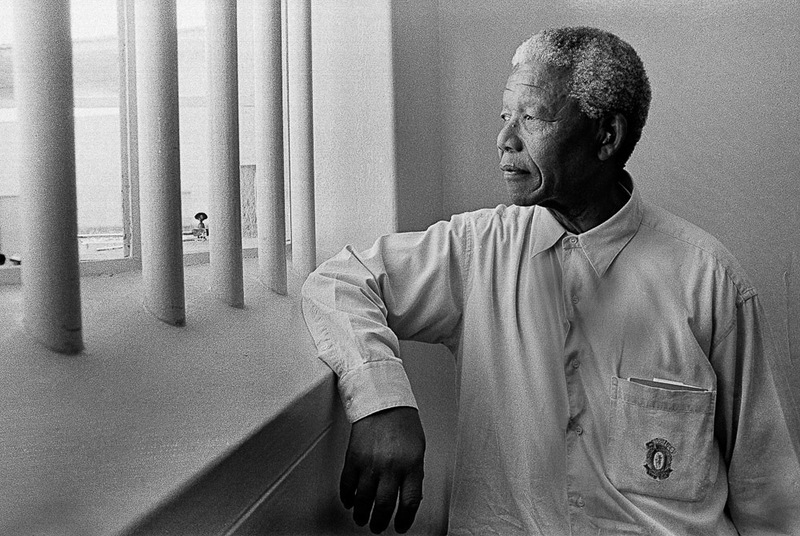 This is a truly awesome and memorable experience. 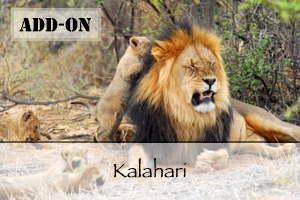 This morning you wake up early for a morning game drive, but don’t worry, it is definitely worth it! The beautiful surroundings are simply stunning at sunrise. 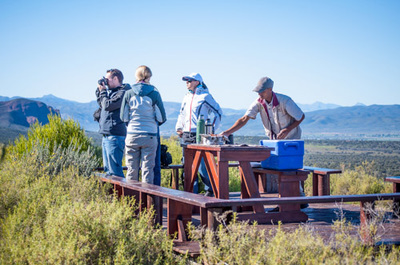 In the open safari vehicle you will be on the lookout for animals that you haven’t seen yet. 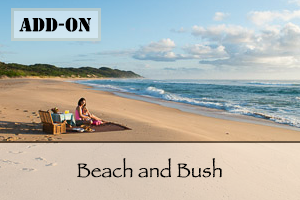 After breakfast you will leave beautiful Buffelsdrift and head to Knysna, situated back on the coast. 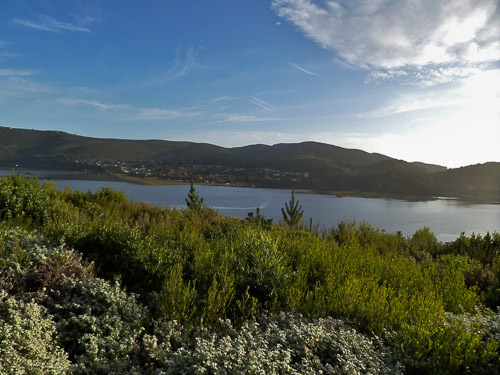 Here you will stay in a chalet with stunning views over the Knysna Lagoon. For dinner you can choose one of the several restaurants in Knysna. Try the delicious oysters, which Knysna is famous for. 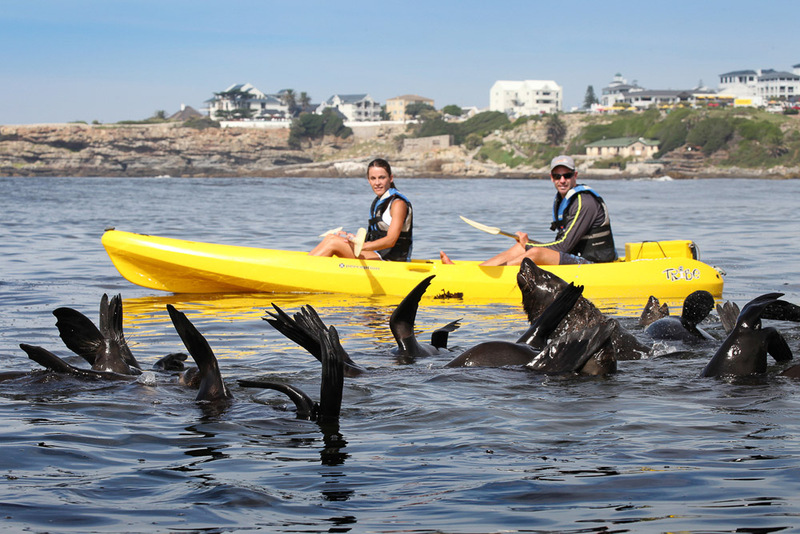 ​This morning, you will participate in a boat cruise on the beautiful Knysna Lagoon, the only way to see the famous Knysna Heads up close. 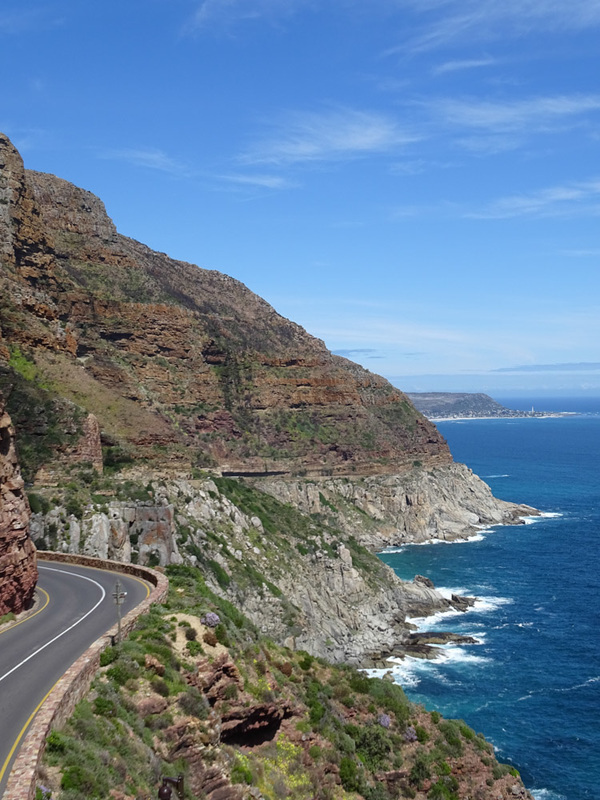 After this boat cruise, you will head east to Tsitsikamma. 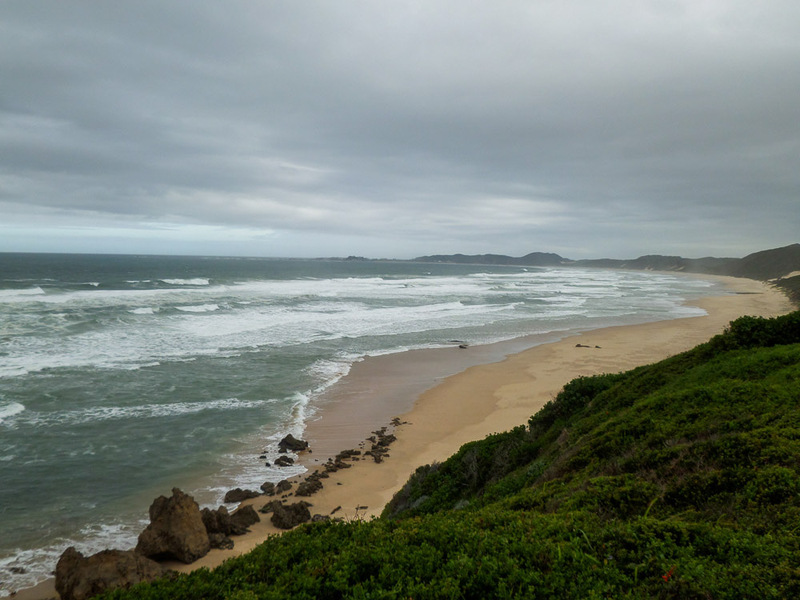 Located between the ocean and the Tsitsikamma Mountains is Tsitsikamma Forest. 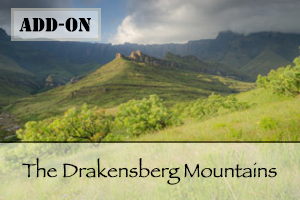 This area has a fascinating ecosystem and is the only place in South Africa where you'll find rainforest. Walk through the giant trees of Tsitsikamma Forest to the 'Big Tree' and immerse yourself in this spectacular environment. The Big Tree is estimated to be between 600-800 years old and has an incredibly impressive stature - the tree stands 36.6m tall and its trunk has a huge 9m circumference! 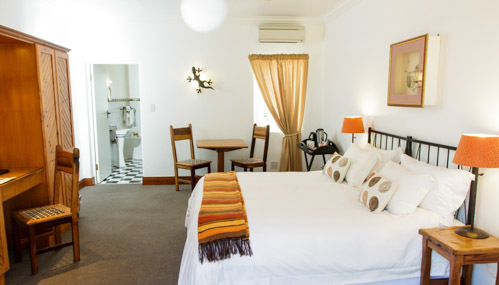 After visiting the "Big Tree" you will leave the forest and travel to your accommodation in Storms River, where you will spend the next few days. 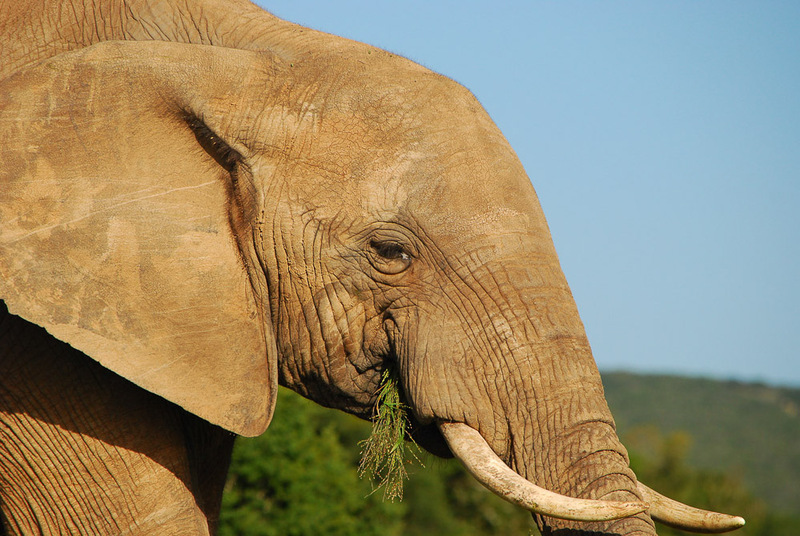 After breakfast it's time to leave the forest and discover your final destination, Addo Elephant National Park. 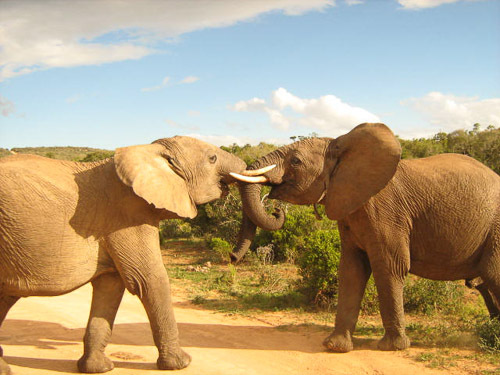 This reserve was established in 1931 to conserve a small population of elephants in the region. 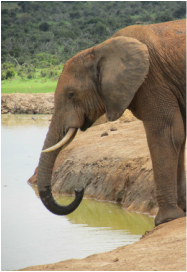 Since then the park has expanded considerably and is now the third largest national park in South Africa; home to over 700 elephants, lion, leopard, buffalo, and rhino, as well as a variety of antelope species, zebra and hyena. 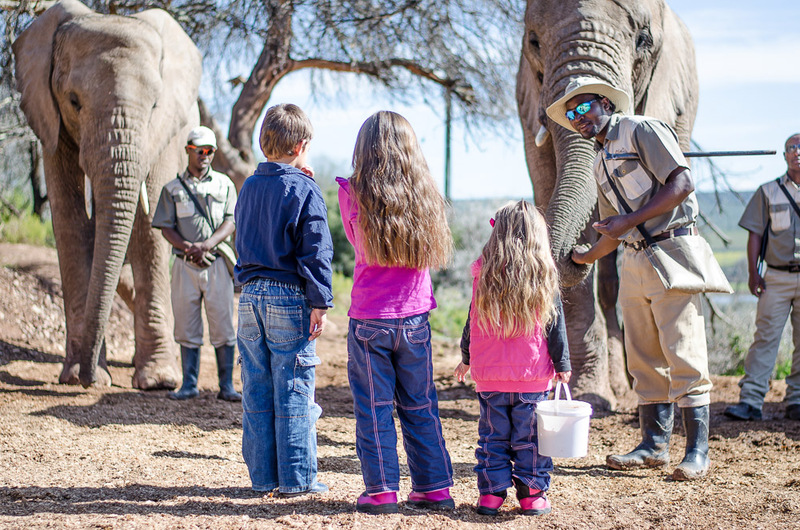 After checking in at your accommodation, there will be time for you to explore this amazing park and it's wonderful residents on a safari! Today you have a full day to explore the magnificent Addo Elephant National Park. 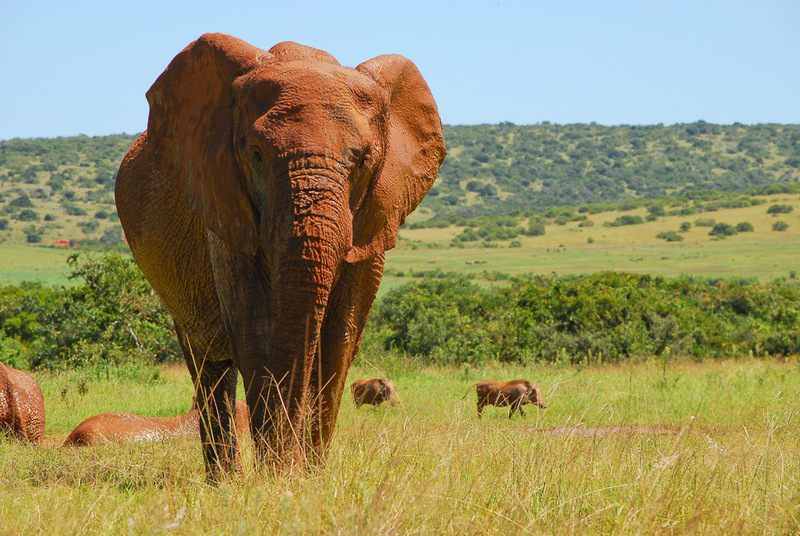 Addo Elephant Park has in recent years expanded to a park with a great variety of landscapes, and thus a great diversity of flora and fauna. 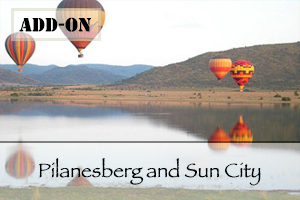 You will explore from the green south, to the drier north, while you pass through the Zuurberg Mountains and the Sunday River valley. 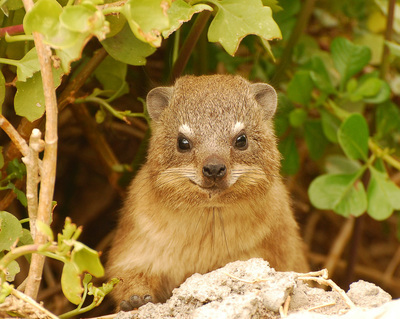 It's best to leave early in the morning, to see as many animals as possible. 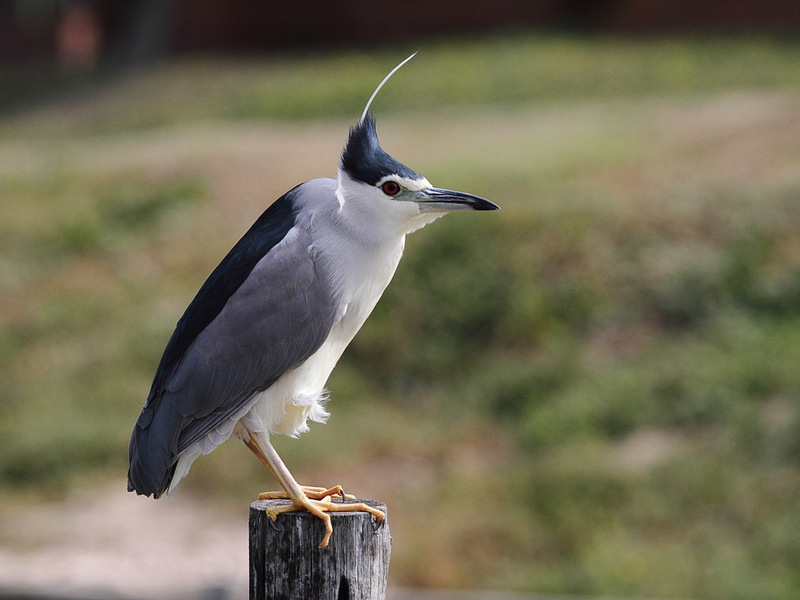 Enjoy your last morning in the park before departing for the airport in Port Elizabeth. 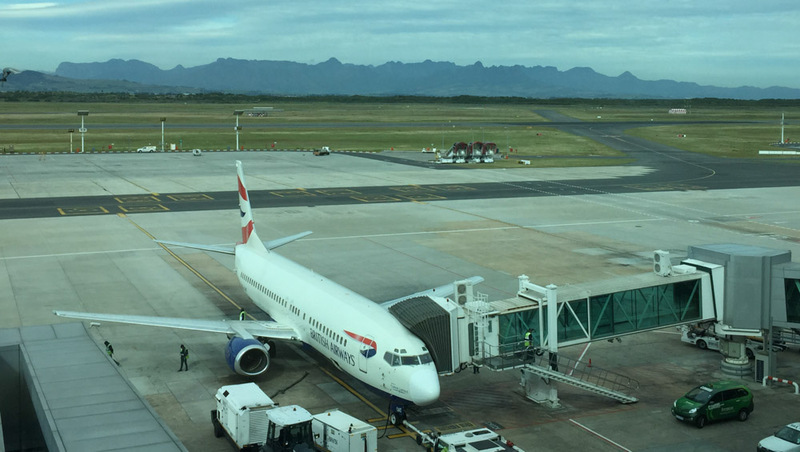 From Port Elizabeth you will fly back to Cape Town.